There are certain foods that, no matter how simple they actually are to make, they still have a mystique about them. 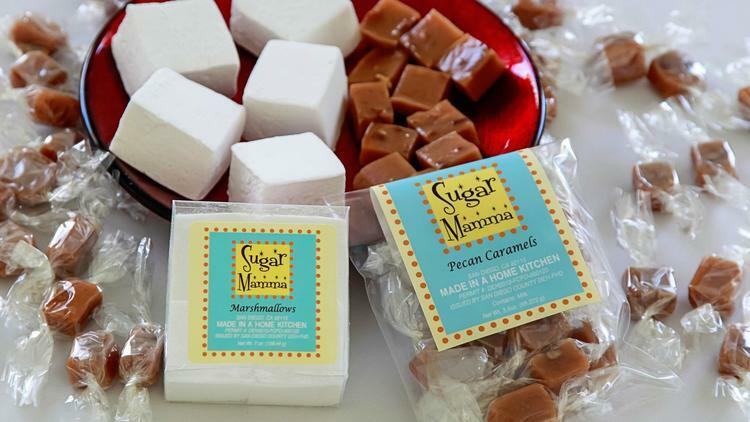 Caramels and marshmallows, for me, have long fallen into this category. But thanks to Nancy Flint of Sugar Mamma I’m feeling more confident about making them myself—and, oh, is it worth the effort! In my latest story for The San Diego Union-Tribune’s Food section, Flint demonstrates how she makes these sweets and shares her recipes with readers. Being with her in the kitchen as she prepared them was a wonderful demonstration of the magic of science! Treat yourselves!